Where has all the BP oil gone? The question, 'where has all the oil gone?' has been answered in the media in recent days by scientists providing much speculation about how the oil may go away but little hard data about what is actually happening in the Gulf. We cannot let the future of the Gulf rest on speculation. The danger of this conjecture is that people are already beginning to tune out and assume that everything is fine, even within the spill response. So, where is the oil? 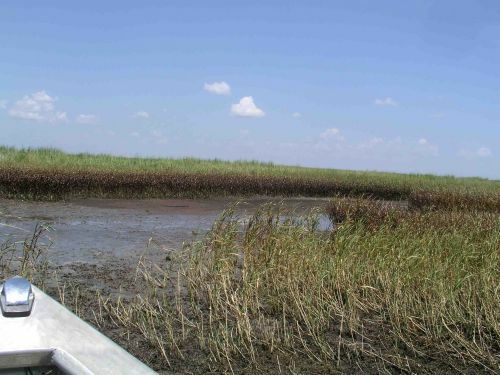 Oil in grass between Oyster Bayou and Taylor's Bayou, St. Mary's Parish, Louisiana, July 30, 2010, Photo Credit: Antonia Juhasz.